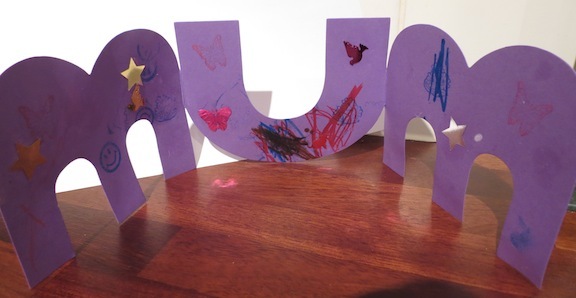 Looking for mother day crafts for kids? 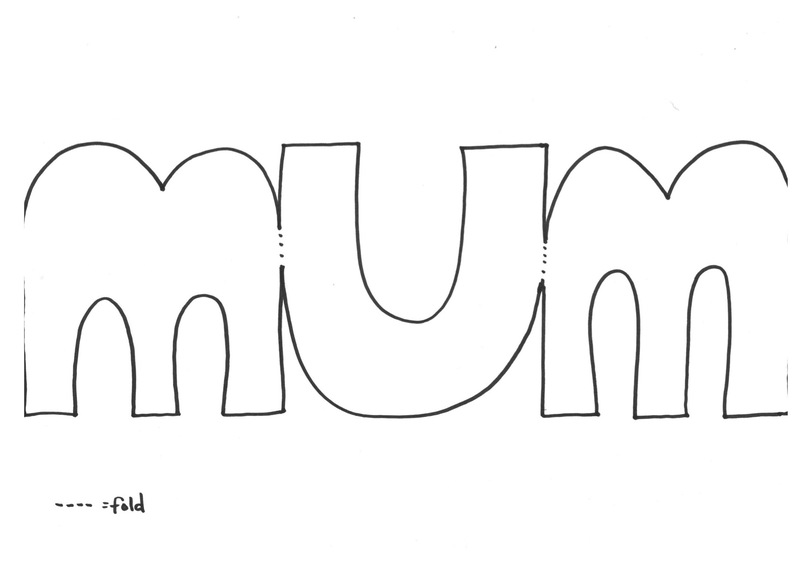 Here you will find instructions and templates for making and decorating some really lovely mother day cards. The picture above is of a card made by my 22 month old daughter Beanie. The template was cut out is stiff purple cardstock and the decorations included ink stamps, felt tip pen and embellishments stuck on which glue. 2. 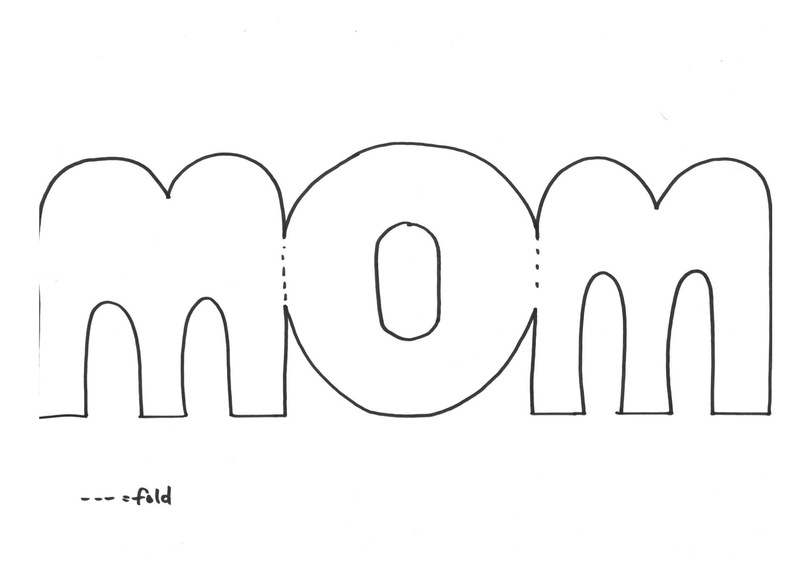 Cut out with scissors (smaller children will need help) and fold along the dotted lines so that the letters fold up. 3. Let your kids decorate the card (both sides if you like) using paint, pend, stamps, embellishments and/or stickers. Click on the links here to download a pdf card templates. This first template reads "mom" for my American audience. See below for a British version. Click on the link here for a British version of the card template.